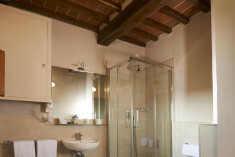 **Borgo Il Melone is much more than just a charming hotel. 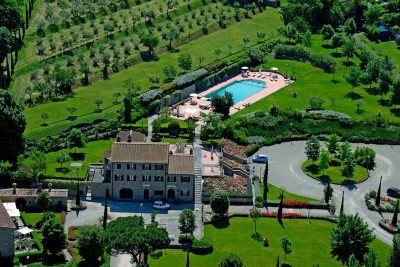 On demand, it can be booked exclusively to become your location for private events in Tuscany. All the facilities, including the rooms, 39 between rooms and suites, the restaurant, the swimming-pool and the large garden of the estate can be the perfect setting for your exclusive event. 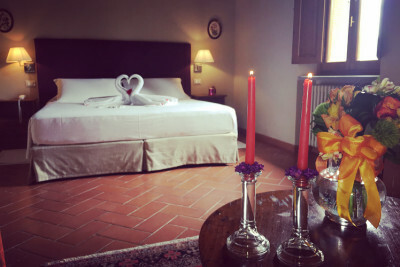 With its large garden and terraces, Borgo Il Melone is the ideal location for anyone seeking a villa in Cortona to celebrate their wedding and organize a romantic reception. The terraces, garden and outdoor swimming pool can host a lovely welcome drink and an after-dinner dance, while our Limonaia room, completely renovated and equipped with kitchen and air-conditioning system, can accommodate up to 150 people and can be fitted for an elegant dinner. Borgo Il Melone is a refined 4 star hotel in Cortona with swimming pool immersed in a beautiful park, among olive trees, vineyards and fruit trees. 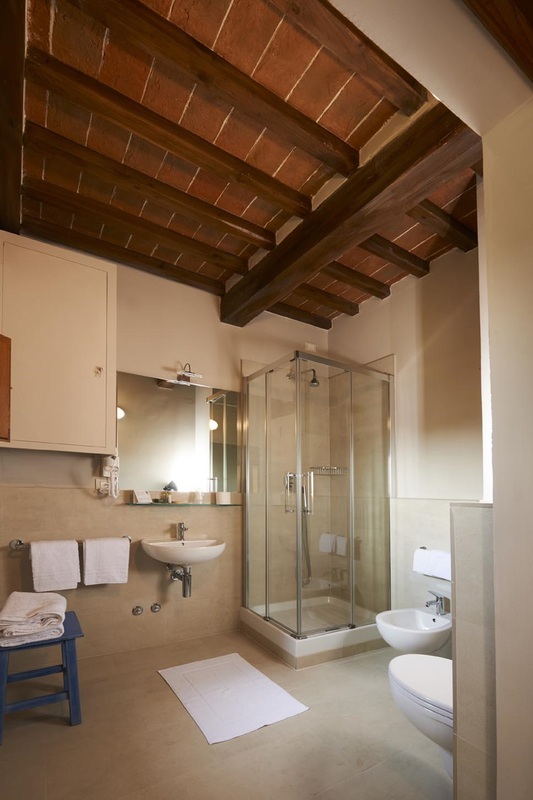 Obtained from an ancient exquisite old dwelling place of the XIX century, our Borgo has been transformed into a luxury residence with lovely rooms and suites. 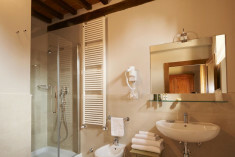 Our wide Deluxe Rooms have an area of about 25 sqm and highest attention to detail. 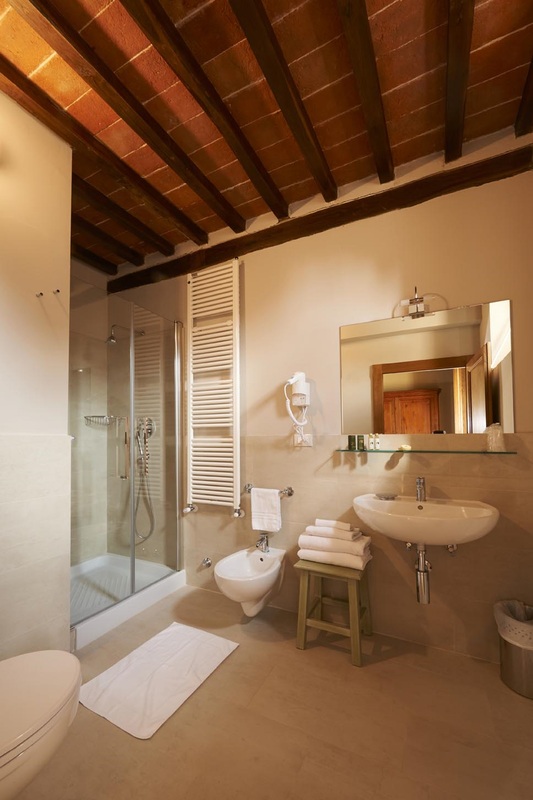 Each room has a queen size bed with closet/wardrobe, private bathroom with shower or bath tub, hair dryer and courtesy kit and have air conditioning/heating, safe, free minibar, telephone and TV with satellite channels. Internet Wi-Fi connection is free and available in all rooms. 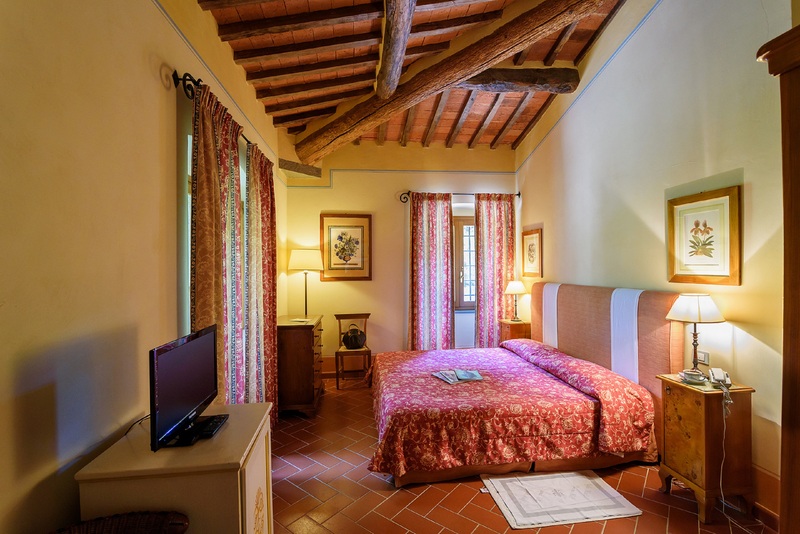 Refined and cosy, with a relaxing garden view, the Deluxe Rooms of our hotel are the perfect choice for a romantic getaway in Tuscany or a relaxing weekend in the green of the countryside. If they wish, our guests can enjoy our fine restaurant and our outdoor swimming pool equipped with deck-chairs and sun umbrellas in a large evocative garden with view on Cortona. 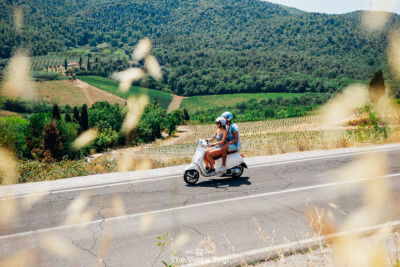 A wide range of activities can be done in Cortona: cooking classes, wine tours, excursions, Vespa tour, cycling and much more. 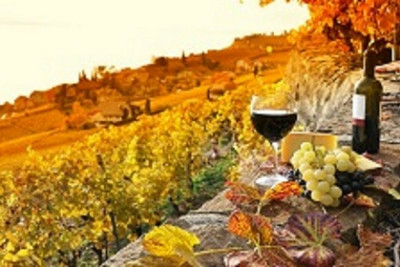 The cuisine of Tuscany stands out for its simplicity and sobriety which combines well with the refinement and attention for high quality local products. 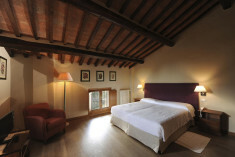 Borgo Il Melone is the perfect place to discover it. 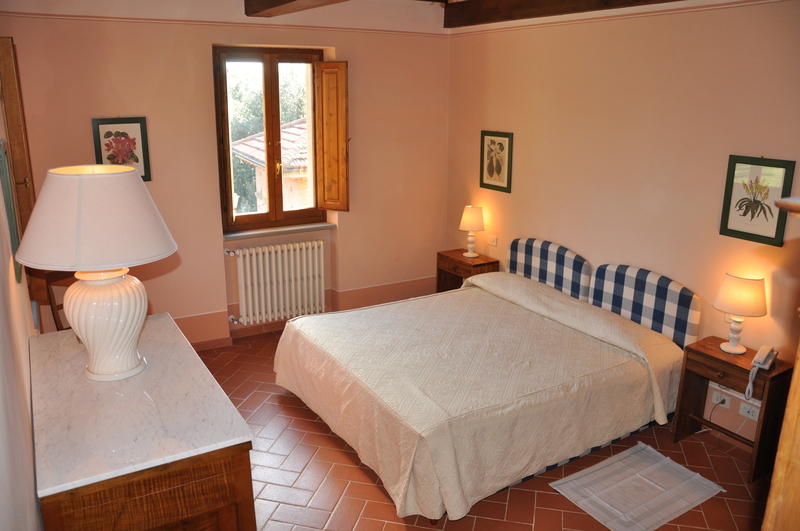 Thanks to its large rooms, its well equipped main kitchen and evocative setting, our hotel can be the ideal location for Tuscan cooking classes where to learn all the secrets of the traditional recipes. Here you can learn to prepare a typical Tuscan lunch and have fun together with our chef to discover the secrets of our recipes. At the end of our classes we will all gather together on the terrace, with view on the countryside, to enjoy what we have cooked. Our cooking classes are open to groups up to a maximum of 10 participants. "To create a personalised experience especially for your occasion, simply click here to tell us what you’d like us do."